La Crosse, WI (7/26/2018) - Root River Racing’s youth riders Aaron Salinas and Tyler Svob both had productive weekends during the AMA ATV Motocross National Championship races at RedBud MX in Buchanan, MI. Salinas earned a pair of fourth-place finishes, while Svob scored two top-tens. Both riders are competing on 250cc Hondas built by Rage ATV on JB Racing frames. They feature Motowoz shocks and Hoosier tires. Salinas stepped up his efforts at RedBud. He went 4-4 in Youth All Stars and was 3-5 in Schoolboy Sr. He now sits fourth in points in both championships and hopes to finish out the season with strong finishes at Loretta’s next month. 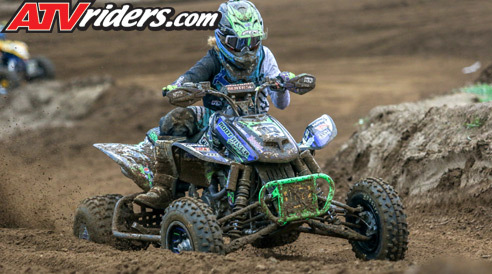 Svob finished 10th overall in 250 mod and was eighth in Schoolboy Sr. With rain hitting the track both days, he was in his element. Unlike many racers, Svob enjoys the rain and the mud. 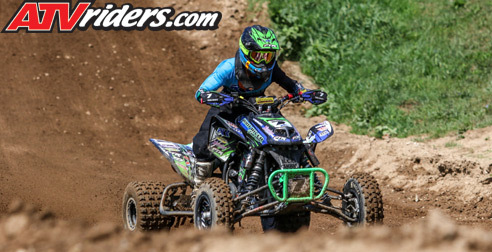 Salinas and Svob will be back in action when the ATV Motocross Series finishes out the 2018 season at the Loretta Lynn Ranch in Hurricane Mills, TN August 11-12.